I am a missionary of a young Catholic community called Verbum Dei. My pastoral work is varied, but could be summarised as helping people to discover and grow in a personal relationship with God, especially through the Word preached and through music... and as a consequence, helping them find and commit to their own personal calling and ministry. I am a musician and composer, and having completed a doctorate in theology on music in theology, I taught for a while the Gregorian University, Rome. I was the Banaan Fellow 2011-2012 at Santa Clara University, California, and teaching at JST, Berkeley. And I am now a lecturer in theology at the Banyo campus of Australian Catholic University. 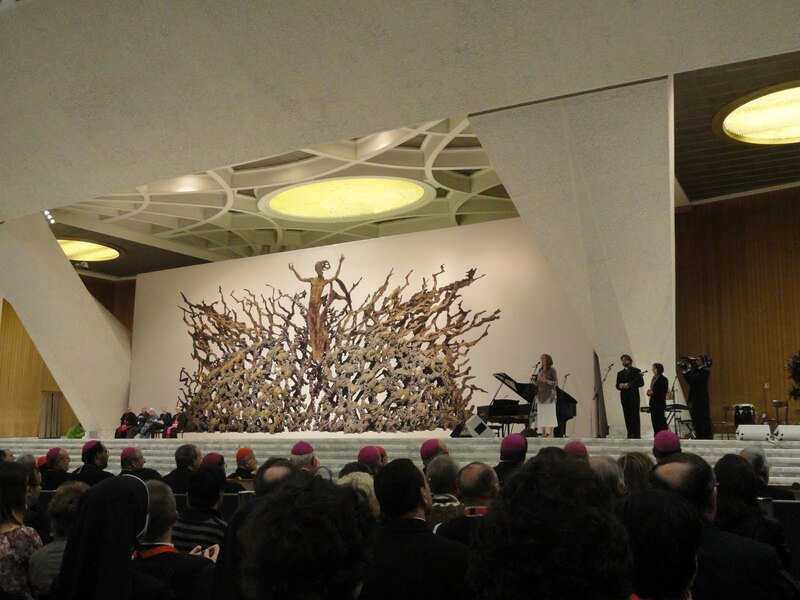 God has a sense of humor: after seven years in Rome, I was asked (and flown back) to come to Rome to sing in the Paul VI Concert Hall at the Vatican for the opening conference of Dicastery: The Pontifical Council for Promoting the New Evangelization. It was a moving experience for me. After a morning of reflection and dialogue with the leaders of those movements involved with initiatives of New Evangelization throughout the world, leaders, members, cardinals and bishops from around the world filled Paul VI's Hall, where Cardinal Fisichella and his team had organized an afternoon of music and testimonies, followed by a meeting the Pope Benedict XVI, to launch and focus the work of this new council. 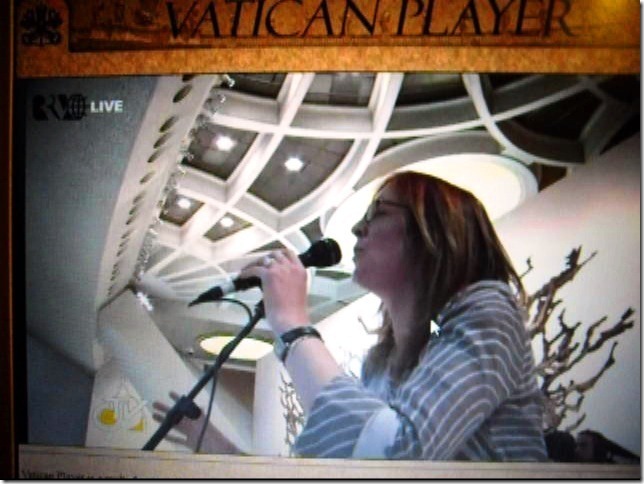 Towards the end of the afternoon, between the testimonies of Foundress Veronica Berzosa, Writer Vittori Messorio, scientist Marco Bersanelli and short concert by Andrew Bocelli, I was asked to give a 'musical witness' of evangelization through music, and chose to sing Dancing in our Minds, a song which tried to express what may be happening when one tries to sing (in) faith, and Lead Kindly Light, based on John Henry Newman's famous poem. I cannot but think that this is one step forward in the Church understanding and moving with music as a beautiful and appropriate way of reaching out to our world. And as I seek to reflect upon and interiorize what I have lived, a phrase of the first song repeats in my mind: "Hold my hand in your side 'til..." keep coming to mind, and the words I sense from Jesus are: 'I felt you'; and I think what 'happened' there is that something of his life, his presence, the sap that is the life of his Body and ours, flowed through the room as we sang and prayed.